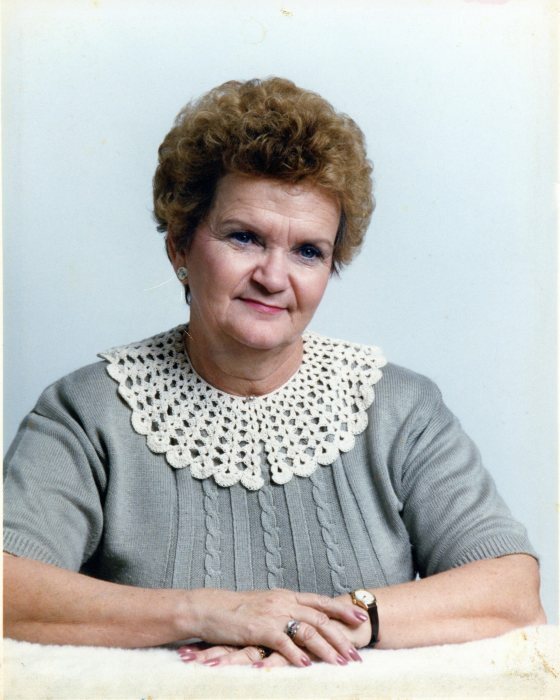 Mildred June King Wilson, 85, passed away on Thursday, January 31st, 2019 at The Laurels of Summit Ridge in Asheville, NC. Mildred was born on October 30, 1933 in Mitchell County to the late John and Dona King. She loved her family and adored her grandchildren. Mildred was a retired sales associate from Belk’s in Asheville. She always enjoyed shopping and traveling. She was preceded in passing by her husband of 19 years, Leonard L. Wilson. Left behind to cherish her memory is her daughter Teresa McNeely of Asheville, NC, and a son, Rev. Richard Wilson and wife Nancy of Newport News, VA; two grandchildren, Aralyn Pressley, and Gunnery Sergeant Matthew Foster; six Great Grandchildren, Trevor Pressley, Casey Armachain, Ray Fain, Shawn Davidson, Bella Foster, and Leigha Howard; and one Great-Great Grandson, Brysin Pressley. The family will have a visitation on Monday, February 4, 2019 from 1:00 – 2:00 pm in the chapel of Westmoreland Funeral Home in Marion, NC. A funeral service will follow in the chapel at 2:00 pm with her nephew Rev. Tom Hunter officiating. The burial will take place in McDowell Memorial Park following the service. Flowers are accepted, but memorial donations can be made to Denbigh Baptist Church at 13010 Mitchell Point Rd., Newport News, VA 23602.